Screen mirroring has become a common need for users who want to watch movies, stream music, photos and even play games on a bigger screen. If you have a OnePlus 6T, you may also want to stream your phone to PC to enjoy a larger display. OnePlus 6T runs the latest Android version that comes with a mirroring feature enabling you to wirelessly cast the phone screen onto a TV wirelessly. However, the process when you want to mirror OnePlus 6T to PC is quite different because you need a third-party app to do so. 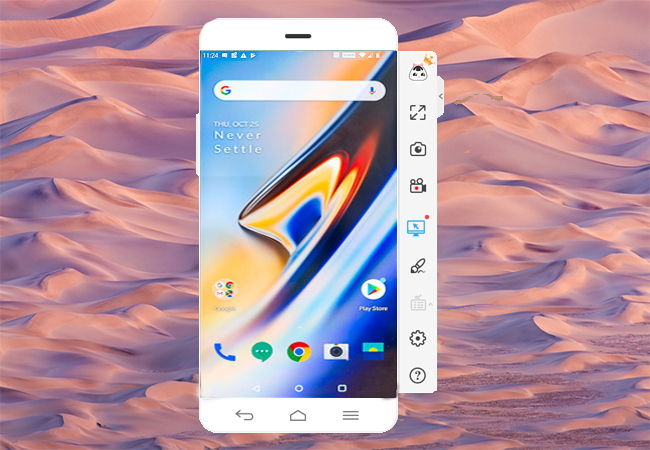 While you have a lot of options to choose from, we saved your time and effort by listing the best mirroring apps for OnePlus 6T so you don’t have to search yourself. You may refer to the list below. 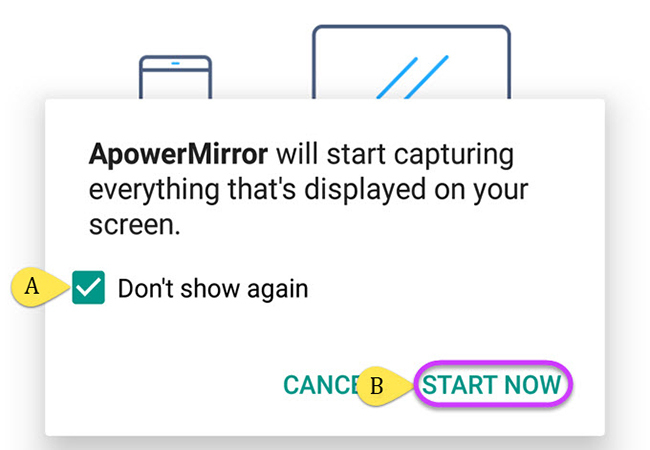 ApowerMirror is an excellent application that allows you to mirror your OnePlus 6T to PC and vice versa. You can also use it to mirror Android screen to iOS device or to another Android. Aside from its mirroring capabilities, this tool lets you control your Android device using the mouse and keyboard of your computer. Along with this, it enables you to take screenshots, record screen activities, and add annotations on screen. Moreover, you can use its Game Keyboard to play Android games on PC, which is by far the most significant feature of this tool as users can assign and map keyboard shortcuts in the game for convenience. Here’s how you can cast OnePlus 6T screen to PC. 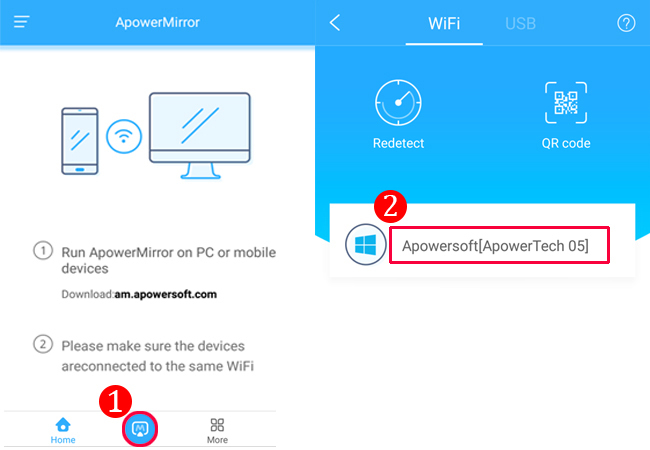 Download and install ApowerMirror on your Android device and Windows computer. Launch both apps afterwards. Next, enable USB debugging in developer options on your OnePlus 6T. Then, connect your device to PC using a USB cable. Simply allow USB debugging prompt on your phone to proceed. Once a notification pops up, tap on “Start Now” to start mirroring your device to PC. Additional Tip: There’s also another way of connecting your OnePlus 6T or other Android phones to PC, which is through a wireless connection. Open both apps on your computer and phone, then connect them to the same WiFi connection. Tap the “M” button at the bottom of the mobile app, it will search for devices automatically. Select your computer name from the detected devices, then choose “Phone Screen Mirroring”. Finally hit “Start Now” to mirror your OnePlus 6T onto your computer. Remember that you have to use the USB cable method first, so you can control your Android device wirelessly. 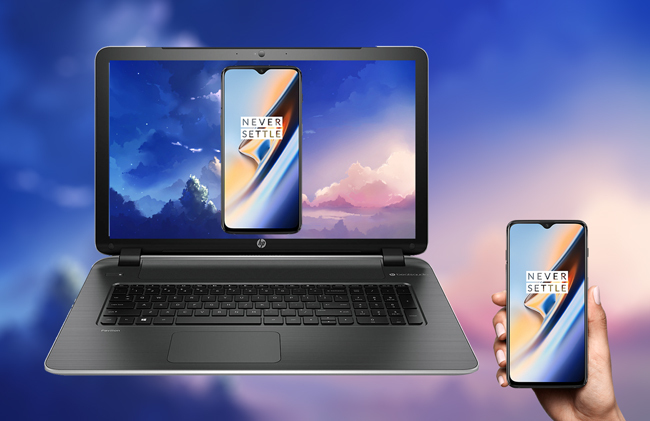 OnePlus 6T screen mirroring to PC can also be done using TeamViewer. With this tool, you can mirror your phone screen to your computer without any complicated setup. This app is open-sourced and supports iOS and Android screen mirroring. In addition, this lets you access your files, apps, documents remotely from your PC. Hence, you can do multi-task on your PC while managing your Android phone. Like the aforementioned tool, this lets you mirror your OnePlus 6T screen to your computer. You can also take screenshots and record your phone’s screen. In addition, you can use this app to transfer files between your phone and computer. In order to reflect your OnePlus 6T to PC, take a look at the detailed instruction below. On your Windows PC, install the TeamViewer. 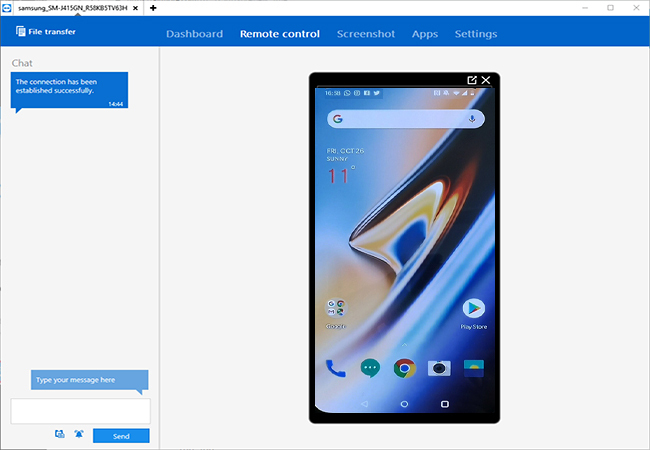 Also, download TeamViewer Quick Support from Google Play Store on your OnePlus 6T. Open the app on both your OnePlus 6T and PC. Enter the ID in the “Partner ID” field on the desktop app, and click the “Connect” button. Then allow permission on your Android device. You will then see the screen of your OnePlus 6T being displayed on PC. To get access to its features, simply click on “Files & Extras” at the top of the app. 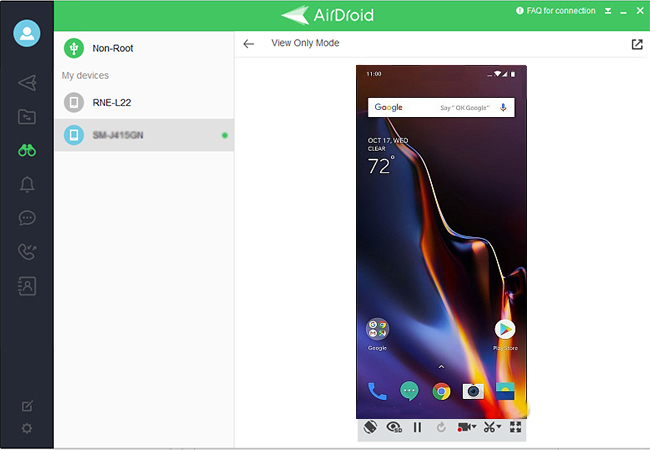 Another good application you should consider is AirDroid. This app also features file transfer so you can move files from your phone to PC. It has its own UI for call logs, pictures, files, and messages. That being said, you cannot run apps or play games. However, you can mirror your Android phone to computer, record screen and take snapshots. To learn how to mirror OnePlus 6T to PC using this tool, you can follow the guide below. Get the app from the AirDroid official site and install it onto your PC. Also, get its mobile version for your OnePlus 6T. 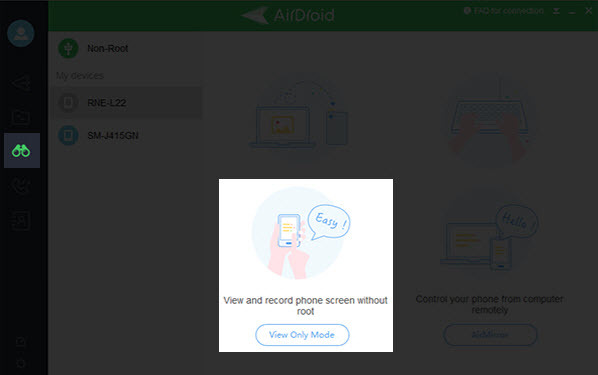 Run the desktop application and sign up for an AirDroid account. Add a device to your account by signing into the same account on the Android app version. Next, tap on AirMirror tab from the left-side of the menu and then click the “View Only Mode” option. Then, tap “Start Now” on your Android to start the mirroring process. You can access its functions at the lower part of the interface. All these programs will help if you want to mirror OnePlus 6T to PC on a bigger screen. They have all the features that fulfill your mirroring needs. However, if you are looking for a more responsive app and want to display the screen of your phone with high-quality resolution, you should surely go with ApowerMirror.